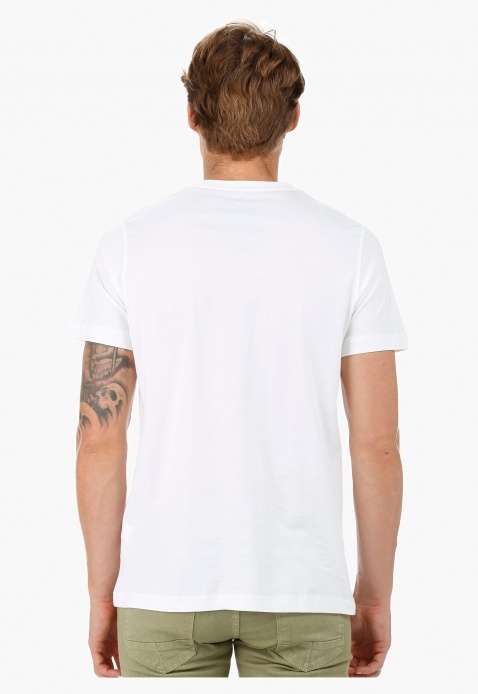 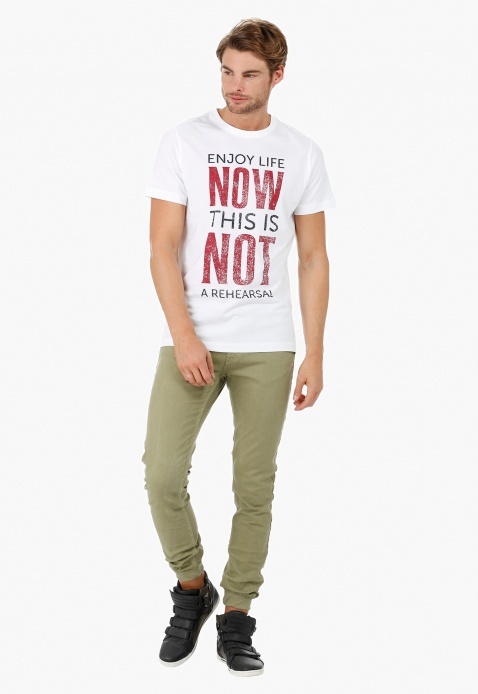 Make smart your casual appearance by opting for this refreshing t-shirt. 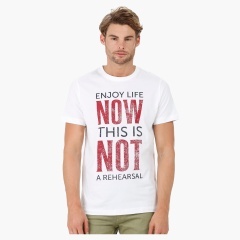 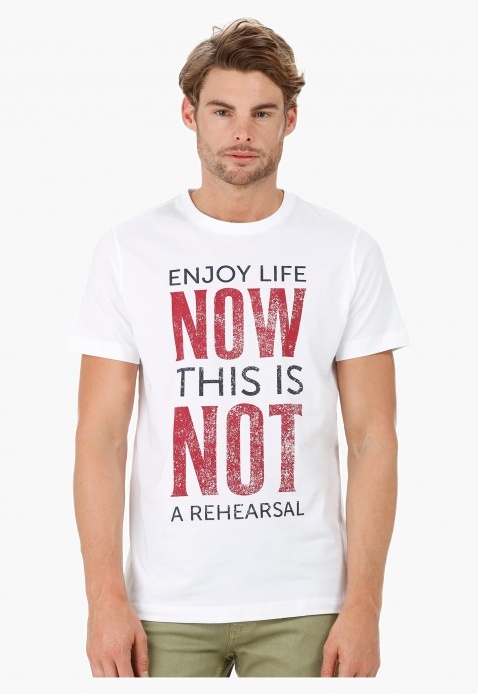 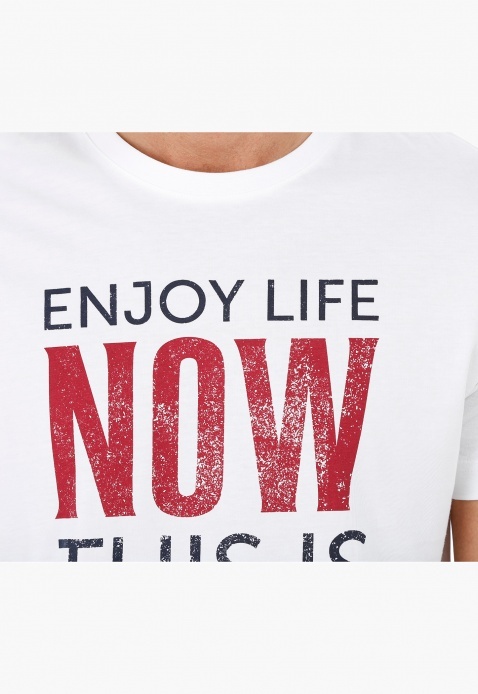 It features a catchy word phrase in contrast shade printed at the front that peps up your appeal. 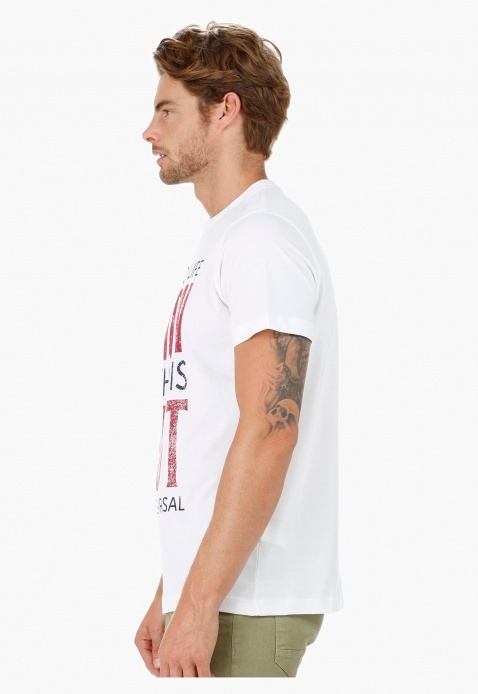 The minimalistic design makes it an ideal choice for regular wear.